With the recent announcement that Dan Slott is ending his lengthy run as the writer on Amazing Spider-Man, a vocal contingent of fans has once again returned to the comment sections. For many years, a subset of Spider-Man fans have continuously and passionately denounced Marvel’s decision to erase the marriage between Peter Parker and Mary Jane Watson. They’ve sworn for years now that Spider-Man is an objectively better character, and comic, when he was married. 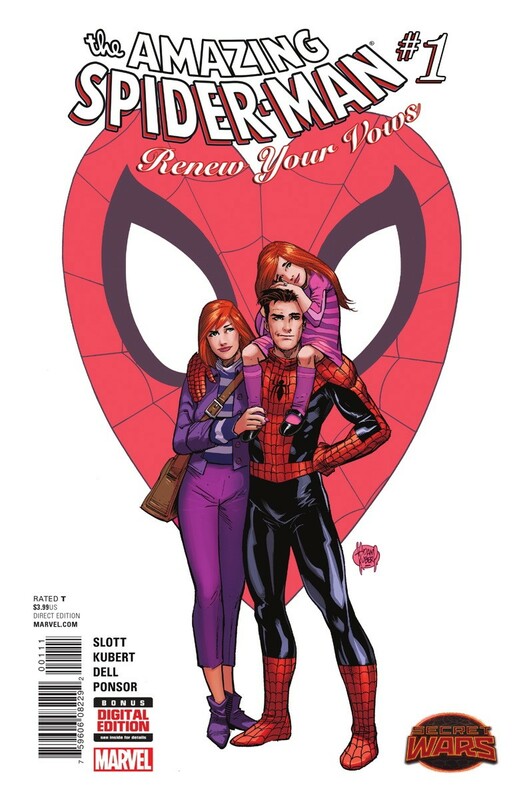 Marvel finally gave them what they wanted in November of 2016, when they launched Amazing Spider-Man: Renew Your Vows, featuring a married Peter and Mary Jane, and their super-powered daughter. 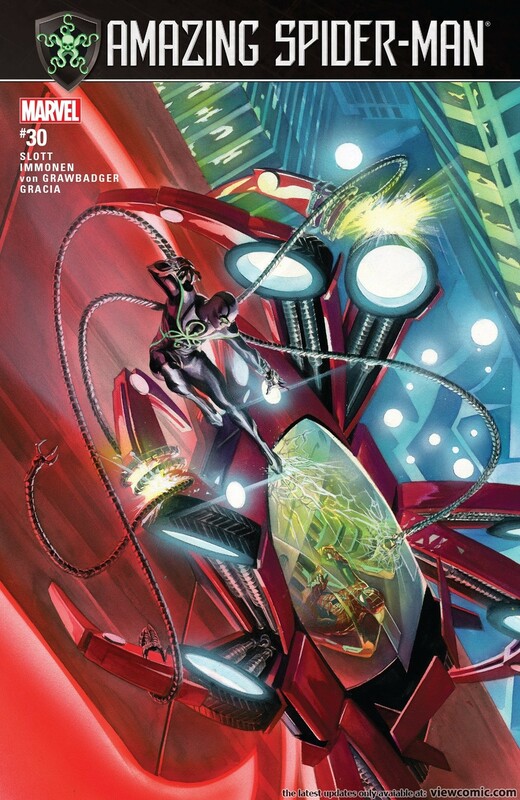 Prompted by the resurfacing of what is now a decade long debate, I decided to look up the sales on Renew Your Vows to see how it’s doing, and how it compares to the other comics in the Spider-Man franchise. Here’s what I found. Lastly, but perhaps most importantly, my personal bias. First and foremost, I am a Spider-Man fan. I honestly do not care if he is married or not. I happen to agree with the reasoning Marvel had for making him single again, but ultimately, his marital status does not affect if I can enjoy a quality Spider-Man comic or not. One last thing, I am way behind on my Spider-Man reading. I read a few issues of Amazing after Immonen took over as the artist, and I read the first issue of Renew Your Vows. (Both titles lost me at around the same time, but to be fair, so did most modern comics in my switch to trades. -Duy) Quality will not, and cannot, be something I can discuss with any first-hand knowledge. This will strictly be sales, which is the only real way to objectively measure how well a book is received by fans anyway. Renew Your Vows finished in the following spots on the Diamond sales chart from Nov ’16 to Dec ’17: #6, #50, #55, #71, #56, #75, #102, #78, #90, #94, #62, #111, #16, #102. After a strong debut, the book had a fairly precipitous decline in overall sales and it’s ranking on the sales chart. Except for a few instances where it jumped up the list, it’s been a pretty steady decline. Amazing Spider-Man during that same time period finished at: #23, #22, #9, #13, #1, #15, #27, #15, #14, #18, #17, #3, #31, #10. Renew Your Vows outsold Amazing in only two or the fourteen months of its existence. (Admittedly, not a large sample size.) 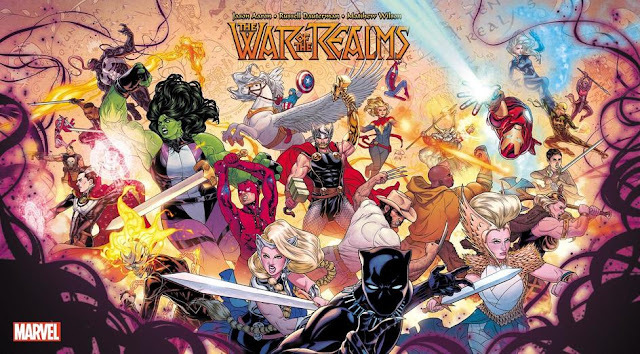 When it launched in Nov ’16 (because first issues sell more traditionally) and in Nov ’17 when it debuted a new creative team, an 8-year time jump forward in the story, and a ton of incentive variant covers. Those aren’t asterisks, merely explanations for the larger sales, which stand out as anomalies compared to the other 12 months. Amazing Spider-Man sold 934,000 comics in that 14 month span. (That’s not including the second issue anytime Amazing released two issues in a month, because that’s not a fair comparison. Including those double-shipping months, the overall number rises to 1,089,000). Renew Your Vows sold 515,000 copies over the same time period. That’s a pretty resounding sales difference between single and married Spider-Man. Maybe Renew Your Vows isn’t delivering an appealing creative team? 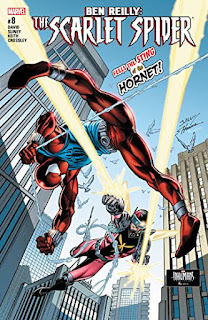 Considering Slott is uniformly reviled (if you believe the internet) than any other writer option should be a net positive. If marital status is truly all those fans care about, then quality or execution should not be a factor at all. 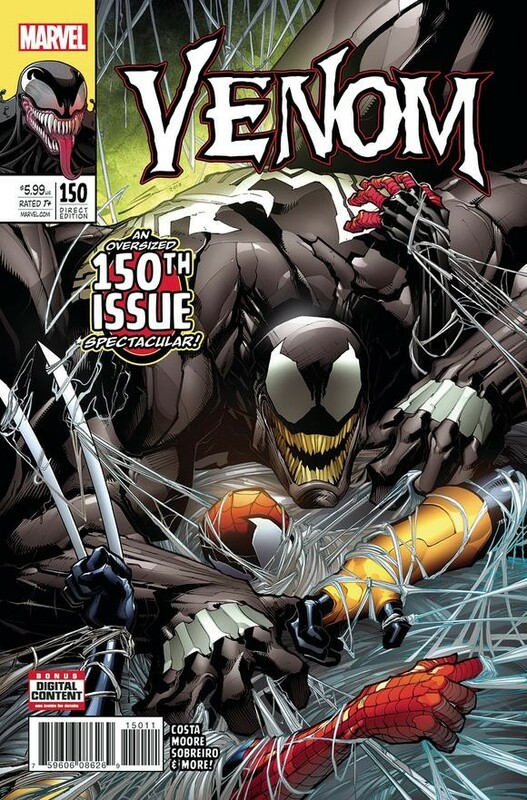 Venom launched the same exact month as Renew Your Vows, and finished at the following spots on the overall sales charts every month since: #8, #67, #24, #47, #71, #14, #2, #32, #55, #71, #98, #12, #85, #40. Venom outsold Renew Your Vows in 9 of the 14 months since they both debuted. Venom sold 731,000 total comics. (Ugh. 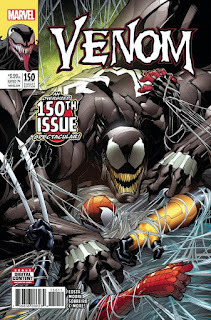 -Duy) Admittedly, Venom was helped by a legacy re-numbering, and being the focal point of a few minor events, but again, Marvel obviously felt it was doing well enough to earn that increased focus. 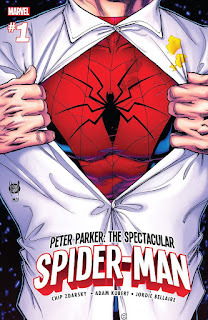 Spectacular Spider-Man launched in June ’17 and sold the most copies of any Spider-Man family comic for this entire time period I’m discussing, at 224,000 issues. It’s rank on the sales charts: #1, #17, #35, #44, #69, #41, #54. Much less of a drop-off than either Renew Your Vows or Venom (and for clarification, features an even more “classic” depiction of a single Spider-Man). It sold 462,000 comics over 7 months, nearly matching Renew Your Vows in half the time. First of all, the pro-marriage crowd has been saying for a decade that if Marvel made a married Spider-Man title, the legions of fans upset with the erasure of the marriage would come out in legion and it would easily surpass the sales of any single Spider-Man. But, for the sake of argument, I know that comics that take place in an alternate universe from the “main” Marvel continuity, are not as valued or seen as “important” as comics that do by a lot of fans. Let’s see how Spider-Gwen fares. 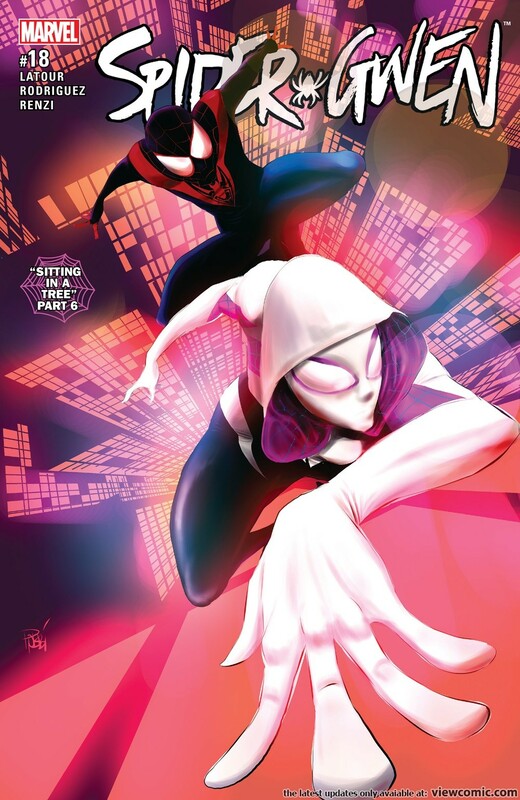 Spider-Gwen finished at the following spots on the sales chart since Nov’16: #101, #100, #74, #81, #65, #86, #105, #82, #104, #113, #54, #13, #101, #83. Gwen only outsold Renew Your Vows in 4 of the 14 months, but they were relatively near each other in most months. Gwen sold 427,000 copies, which is pretty good for a book that doesn’t feature a Peter Parker at all. But yes, Renew Your Vows is the top alternate universe Spider-Man book. I know this wasn’t exactly the ideal version of Ben Reilly that fans have been asking for, but that’s still a really poor performance, especially since Peter David is a writer that fans are constantly suggesting as a better option than Slott on Amazing. Amazing Spider-Man and Spectacular Spider-Man, starring a single Peter Parker, are definitively higher sellers than the married Renew Your Vows book. Venom, a Spider-Man villain/anti-hero, sold 30 percent more comics during the exact same time period as a comic that features Peter Parker, regardless of his relationship status. Renew Your Vows sold the most comics as an alternate universe Spider-Man book, but if the steady decline it’s been showing continues, Spider-Gwen will retake that title before long. It does however outsell Miles, Silk, Ben Reilly, and Spider-Man 2099. Again, I think Miles will surpass it before long since it maintains a much more steady sales history. Numbers are facts. Indisputable. It’s time the pro-marriage fans put their money where their mouths are, if they want to keep talking big about which Spider-Man is objectively the best. I don't think you can expect a self-contained spinoff to outsell the flagship title. Also, there might be other factors like marketing or maybe RVY simply has dipped in quality. Numbers don't mean quality. Slott's ASM run is still garbage, where as I get much more fun out of RYV.